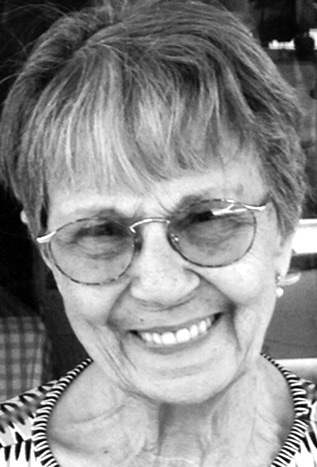 Anna M. McCollum, age 85, of South Edwards, passed away on April 2, 2019 at the Canton-Potsdam Hospital. Anna was born on August 31, 1933 in Dickinson Center, NY to the late Frederick J. and Mary L. (Lamora) Clookey. She graduated from Potsdam Central School. On September 23, 1951, she married Glenn R. McCollum at the Pitcairn Wesleyan Church with Rev. Elwin Putney officiating. Glenn passed away on December 28, 2012. Anna had worked as a nurses’ aid at Clifton-Fine Hospital and then became a teachers’ aid at Edwards Central School. She was a member of the South Edwards United Methodist Church. She was well known for her delicious donuts, pies and bread that she donated for years to the South Edwards Methodist Church and Community Center fundraisers. She also enjoyed knitting, crocheting, sewing and quilt making for her family and also donating her work to fundraisers. And, she loved spending time with her grandchildren. Surviving is a son and daughter-in-law, Glenn “Butch” and Dawn McCollum; four grandchildren, Sara Wright, Delmer McCollum, Amber Keeling and Lacey Folsom and five great grandchildren, Bryant and Andrew McCollum, Brayden and Dylan Keeling and Brooke Folsom; and a son-in-law, Roger Folsom.